Nuclear threats are on the rise, yet research on radioactivity has suffered from short-termism. A newly launched UMB-based research centre seeks to amend this. 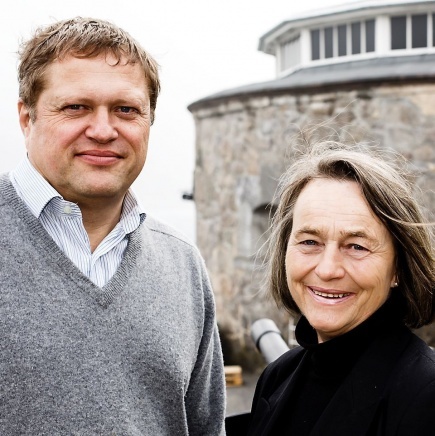 The new Centre for Excellence in Research, Centre for Environmental Radioactivity (CERAD), was officially opened this week, in a ceremony at Oscarsborg fortress near Oslo, the Norwegian capital. CERAD will among other things look at the effects of radioactive radiation in combination with other stressors such as UV radiation, and heavy metals. The centre's goal is to produce new knowledge and scientific methods which will contribute to protecting the environment and general health better against radiation. It also seeks to reduce uncertainty in radiation impact and risk assessments. - The nuclear threat scenario is a lot more challenging and complex today than at the time of the Cold War, said Per Strand, deputy head of CERAD and director of a section of The Norwegian Radiation Protection Authority (NRPA), at the opening seminar for CERAD. According to Brit Salbu, head of CERAD and professor at the Norwegian University of Life Sciences (UMB), it is vital that competence in radioecology is in place when needed: Not scaled up in the aftermath of nuclear accidents only to be scaled down again when those accidents are forgotten, as has been the case for the last decades. UMB hosts the only master of science degree in radioecology in Europe. - CERAD is a unique international resource centre. The centre will be working to reduce uncertainty related to impact and risk from radioactivity. We will, among other things, look at radioactivity in combination with stressors such as UV-radiation and heavy metals, taking variations in temperature and climate into account. The combination of UV radiation and ionizing radiation (e.g. gamma) has never been studied nationally or internationally before, and should contribute to understanding of underlying mechanisms and processes associated with radiation effects, she said. CERAD will study radioactive environmental pollution and the effects of low radiation doses on the environment and health, both on its own and in combination with other environmental pollutants and UV-radiation. The research will be divided in five areas: Sources of pollution and emission scenarios, ecosystem transfers, biological responses, risk assessments and ultraviolet radiation (UV). The centre is a partnership between the Norwegian University of Life Sciences (UMB) and the Norwegian Radiation Protection Authority (NRPA), in collaboration with Norwegian School of Veterinary Science (NVH), the Norwegian Institute for Water Research (NIVA), the Norwegian Institute of Public health (NIPH) and the Norwegian Meteorological Institute (NMI). The centre will be supported by an international network representing highly merited experts in specific fields, with whom UMB and NRPA have established collaboration. The Norwegian Centres of Excellence (CoE) scheme is a national programme under the auspices of the Research Council of Norway. The goal of the scheme is to establish time-limited research centres characterised by focused, long-term basic research efforts of a high international calibre, where researcher training is an important aspect. High scientific quality is the main criterion for the selection of the centres.